Paris has put me in a very Dior mood, even if I didn't buy any Dior makeup last week (I'll talk about the Collection Privee perfume line in a day or two, though). 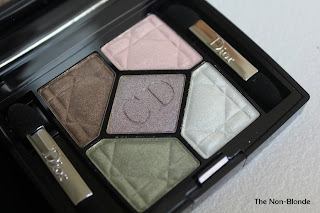 Since the sun is not cooperating with photographing the makeup I did buy, I thought it's a good time as any to look at this Dior eye shadow quint I picked in the middle of the summer. Christian Dior 409 Tropical Light has been around for years. I've played with it countless of times at the counters but always left it there, thinking it's not a very practical palette. But a couple of months ago just as I decided to pass on Dior's Blue Tie collection for fall, I realized I could get some very good use out of Tropical Light. The green shades were inspiring and Joeybunny, a bad influence on the best of days, said I should. 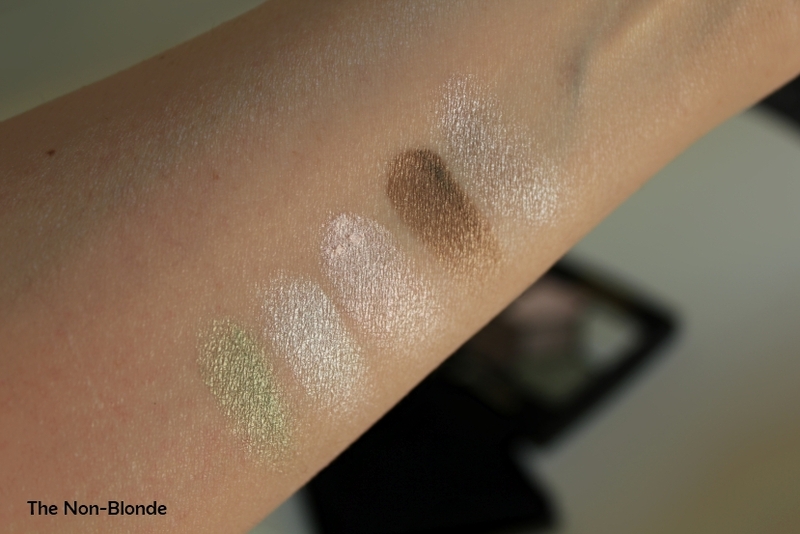 Tropical Light 409 is of the Iridescent formula, similar to the current range of Dior single eye shadows. 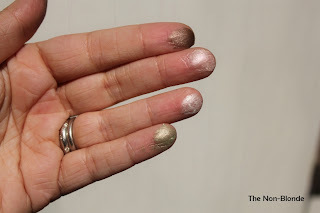 I like the texture (looks far better on the eyes than on one's arm) and have learned to work with successfully, achieving various effects by using cream eye shadows as a base: everything from Bobbi Brown's nudes and neutrals to dark ones or even a gel pencil. 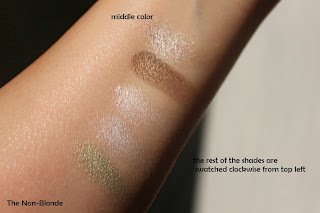 The looks can go from the lightest touch to high drama, making the 409 palette far more versatile than I ever thought, even if rarely use more than 2-3 of the shades at one go. The center is a light silvery taupe, quite unique even in a taupe-rich makeup collection such as mine. I can't tell you how many times I used this eye shadow on it's own, just over a medium-light base. It gives that highly coveted look of polished but effortless. 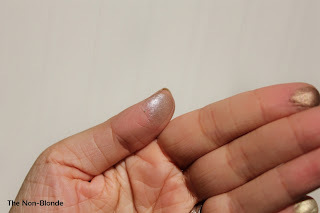 The other colors are a rich complex medium brown that can look warm or cool depending on what you use underneath. It plays well with many colors, Dior singles or other brands. Then you have a light peachy pink for highlighting, a very pale silvery mint green (in the compact) that loses all its green leanings on skin- this is the least convincing shade in this palette. And, finally, the almost golden sage-to-moss green that is the star of the palette. A hint of this one on the lid brings out the eyes. You can make it lighter or take it into truly tropical places if you use a darker cream shadow as your base. The texture of the Dior Iridescent eye shadows is silky, less frosty than they appear at first glance. The intensity is buildable and as long as there's a good primer/base underneath I never experience creasing and only light-to-medium fading on long days. I always apply with a brush, blend lightly (the eye shadows are very buttery and pliable, so they take very little work) and go. The result is a lot more sophisticated than I ever suspected and as long as I don't go all the way to tropics with these colors, they'll see use well into the colder seasons. Bottom Line: it can be easy wearing green. 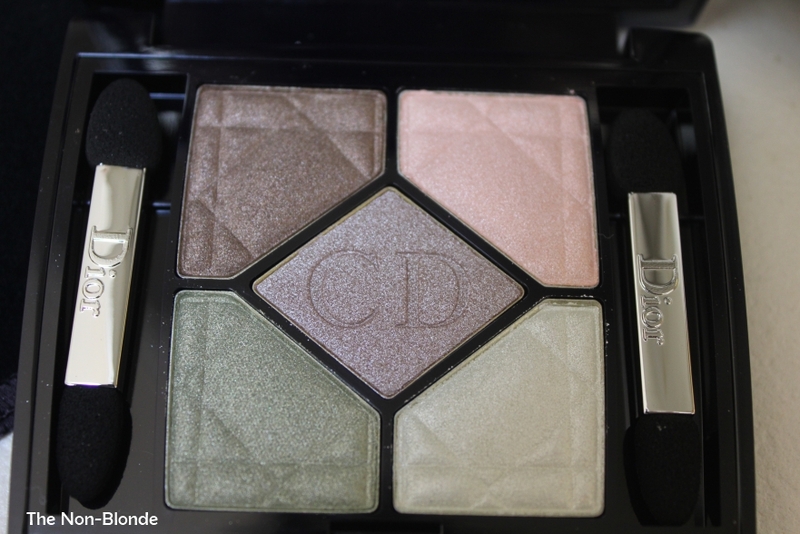 Christian Dior 409 Tropical Light 5 Couleurs Iridescent Eyeshadow Palette ($59) is available from most department stores. I am glad that my little push was for a good cause. This collection of colors is stunning, and I imagine it being even more so on your skin. I think this will be my next quint purchase - if something works for you, it has to work for me!